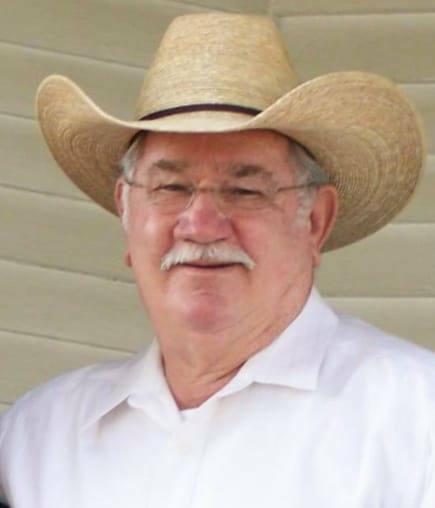 Kenneth Lee Odom (Grampy) 77 of Portland, TX surrounded by his loving family went home to be with the lord on March 18, 2019. He was born May 31, 1941 in Three Rivers, TX to Vestal Byron Odom and Mary Bernice Goynes Odom. Ken proudly served in the Us Air Force and worked for Brown & Root as a Pipe Fitter until his retirement. He spent his retirement years with his loving wife Rita traveling and spending time with family. As we all know, family meant everything to him. When he walked into the room with his smile, laugh and his big hugs made everyone feel special. Ken is preceded in death by his mother and father; brothers, Loid Daniel Odom (LD), Valter Alfred Odom and Byron Allen Odom. Ken is survived by Rita, his wife of 28 years; daughters Melissa Odom, Jennifer Odom, Carol Zabel (Tommy), Rita Deanne Patteson; sons, Harvey Ray Patteson Jr. and Jon Darin Patteson; Sisters, Mary Ann McMullin, Vesta Bernice Wostal, Theresa Hamilton (John), and Margaret Strichland; Brothers, James Rocky Odom (Myrna), Carie Odom, and Tom Odom (Linda); Also Many grandchildren, great grand children, nieces and nephews. Visitation will be held from 9:00-9:30 AM with a Rosary starting at 9:30 AM on March 22, 2019 at Our Lady Of Mount Carmel Catholic Church in Portland. Funeral Mass will be celebrated at 10:00 AM on March 22, 2019 at Our Lady of Mount Carmel Catholic Church. Graveside service will be at 2:30 PM at Three Rivers Cemetery.